06 Şubat 2019 Çarşamba 13:00 - 8 reads. Lokeren, It does not. Apart from the sporting malaise, fell again today a bomb at Sporting Lokeren. Geoffrey Mujangi-Bia (29) may now stay home. The midfielder got today of his dismissal for cause. 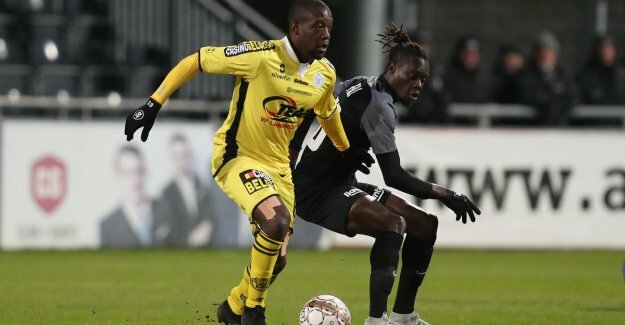 this Morning received Mujangi-Bia, after all, a registered letter of Lokeren that he is no longer on the club without the need for the report. Repeatedly unprofessional behavior led to the dismissal for urgent cause. last night with the promises " his " Standard: played there Mujangi-Bia for the last time in the Lokeren-shirt. As of today he is no more to report at Daknam. Yesterday he got a phone call with that message, today follows a letter, signed by chairman Roger Lambrecht. Since Glen De Boeck, two weeks ago, trainer was at Lokeren, came Bia for more than a handful of times late. Against Kortrijk he warmed up he -it was raining - only very briefly, and against his sentence. That, and a few other incidents, ensures that he is now by Lokeren was dismissed. Bia played this season 138 minutes for Lokeren. He started once and fell three times. Exactly 150 matches in the Jupiler Pro League has Mujangi-Bia. It will be moment for that 150 remain.